Note: This app will only work with Ninko branded devices. It will not work with conventional USB drives. This app also uses Ninko's own non-OTG technology. 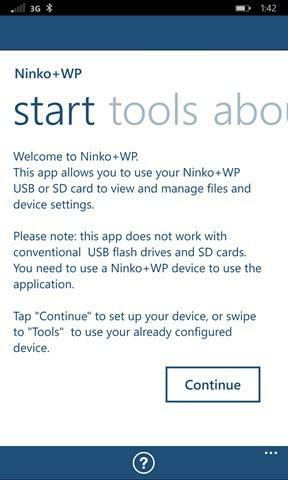 This app neither confirms or denies that OTG support will be included in Windows Phone 8.1 Ninko+WP is the official companion app for your Windows Phone compatible Ninko device. 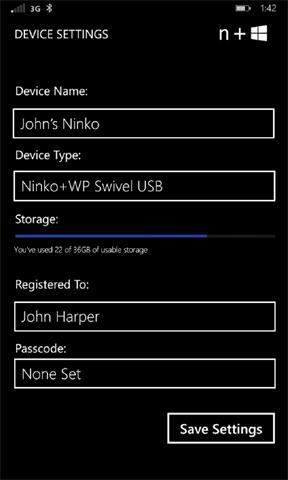 Plug in your Ninko USB to your Windows Phone, and use our app: - To download drivers - To move files using our built in file manager - To access device settings - Recover a faulty Ninko+WP device - Purchase a Ninko USB or Device This app is exclusive to Windows Phone devices. Swipe over to "Details" to see release notes and what's new in the current update.